The Hastings' Dictionary Collection is a thorough offering of meanings, history, events, and theological concepts. Next to Smith's Bible Dictionary, Hastings' has been perhaps the most popular and widely used of its kind. Hastings takes a comprehensive but non-technical approach that allows for easy consumption but won't leave you feeling short-changed. 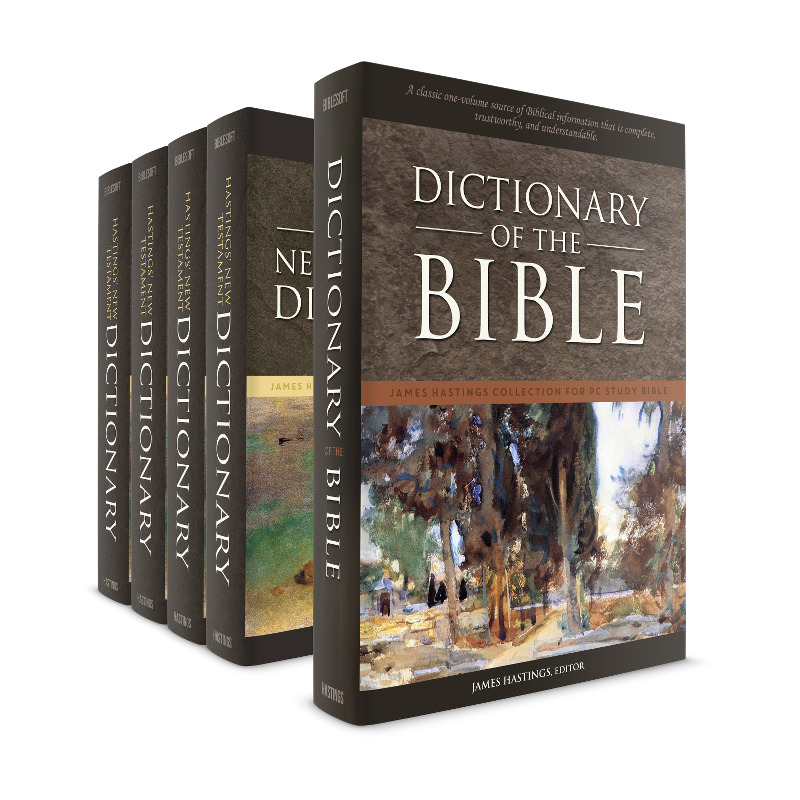 When used in PC Study Bible, this dictionary collection provides thousands of links to deeply informative articles. Whether offering links within articles or linking to additional articles, this package provides tremendous substance to your library. Learn more about titles in this collection below. This is the popular 1-volume edition of Hastings' famous Dictionary of the Bible. It is smaller and more compact than the 5-volume edition, and is meant to serve as a new and updated Dictionary, rather than a simple condensation of the earlier work. Targeted more for the student and pastor, it still claims a high level of scholarship. Among the more recognizable contributors are: W. F. Adeney, George A. Barton, George Ricker Berry, Ernest De Witt Burton, W. T. Davison, Adolf Deissmann, S. R. Driver, George G. Findlay, G. Buchanan Gray, F. G. Kenyon, Shailer Mathews, James Hope Moulton, Theodor Nöldeke, James Orr, H. A. Redpath, A. H. Sayce, Alexander Souter, Alexander Stewart, John G. Tasker, W. H. Griffith Thomas. This is a combination of two 2-volume works Dictionary of Christ and the Gospels and Dictionary of the Apostolic Church. These works cover the Gospels, Acts, Epistles, Revelation, and other important early Christian writings. 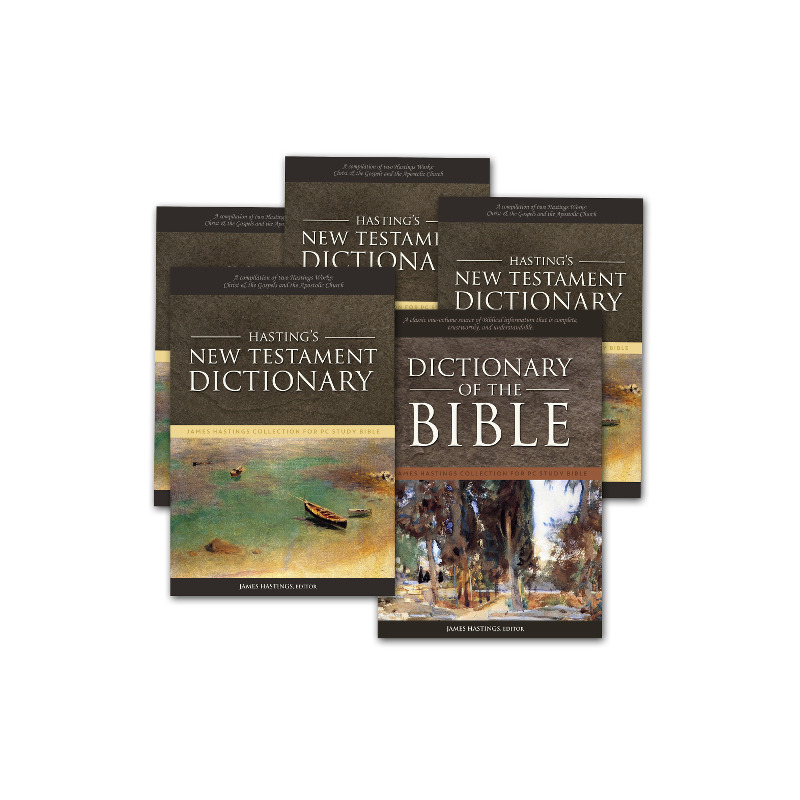 These dictionaries treat the full range of New Testament topics: history, theology and doctrine, criticism, interpretation, difficulties and discrepancies, etc., in considerable scholarly detail. 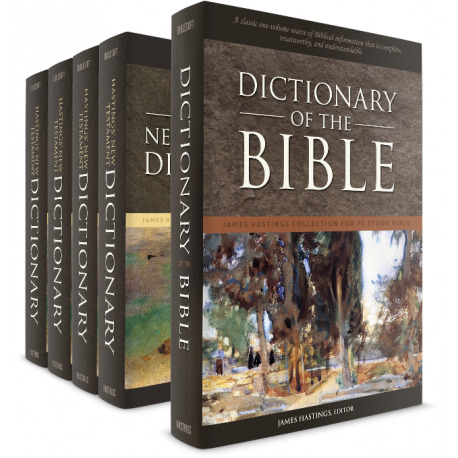 These companion dictionaries, meant to complement the Dictionary of the Bible, offer a high level of scholarship still worthy of study today.